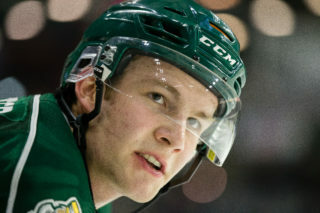 KENT, Wash. – Mathew Barzal logged a goal and the Everett Silvertips, playing in their fourth game in five days, fell short in a third period rally, 3-1 to the Seattle Thunderbirds on Tuesday in WHL action at ShoWare Center. 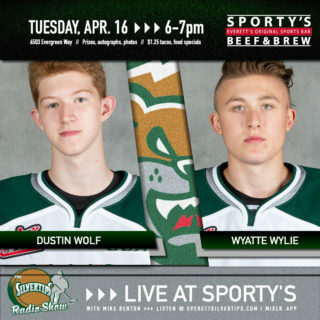 The loss ended the Silvertips run of points collected in five straight games, while Matt Fonteyne logged the lone goal for Everett on a first period power play strike. Carter Hart, playing in every single minute of the four game stretch, clamped down on 32 shots while counterpart Rylan Toth snuck away with a 23 save victory. The Silvertips struggled to find the net in the first 10 minutes as the Thunderbirds sustained pressure produced the first 12 shots, including Mathew Barzal’s fourth goal at 12:42 on a backhander from the left circle. But Fonteyne stashed a backdoor one-timer from Dominic Zwerger from the right circle at 15:59 of the first period to respond for the Silvertips, who tied the game 1-1. The Silvertips earned three power plays which carried over early into the second period, but fell short in aiming for their first lead. Then at the 12:28 mark, Barzal snuck a pass to the top of the crease for Keegan Kolesar’s finish for a 2-1 advantage. Eetu Tuulola’s post hit off a snap shot and Sean Richards’ backhander off the iron nearly tied the game, and the Silvertips earned a power play with less than three minutes left in regulation but came up empty. Kolesar ducked out of the box following the end of the penalty and snuck a loose puck to Alexander True, who hit the empty netter from the neutral zone at 19:29. The Silvertips fell in the season series, 2-1-1-1 to the Thunderbirds. 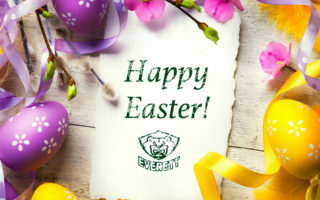 Notes: Silvertips scratches included Ian Walker, Devon Skoleski, and Lucas Skrumeda … Davis has points in 15 of the last 16 games … the Silvertips maintained a five point lead for first place in the U.S. Division over idle Tri-City. 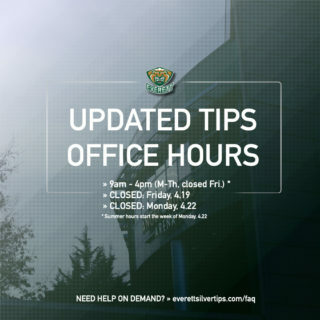 The Silvertips return home for their next game in a rematch with the Thunderbirds on Friday, at XFINITY Arena starting at 7:35 p.m. (1380 AM / WHL Live / Tips App). 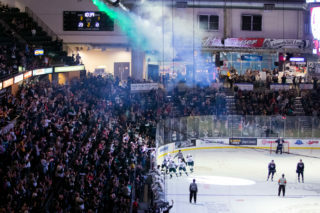 Ticket specials for Hockey Happy Hour and Country Night are available at www.everettsilvertips.com/ticketpromos.